a. Release the 4 fitting claws, remove the 5 screws. b. Disconnect the connector, remove the heater control housing sub−assy. a. Remove the air conditioning control bulb from the heater control base sub−assy. a. Remove the 9 screws and heater control base sub−assy. a. 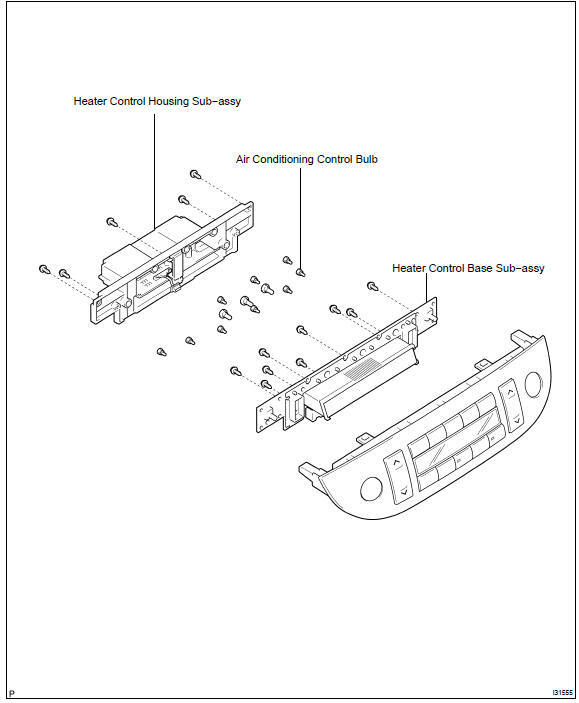 Install the air conditioning control bulb to the heater control base sub−assy.